Whether it’s just school purposes or real conference presentation, the Panasonic PT-VW430EA is a very powerful solution that gets this done. Powered with laser technology that makes projection as simple task to be done as possible, the PT-VW430EA relays information right on a white screen or even anywhere. The PT-VW430EA rank high in the portable projector category with their high brightness of 5,000 lm and 4,300 lm, respectively. All models also incorporate a variable iris that produces a high contrast of 4,000:1 / 3,500:1. * This all combines to provide brighter, sharper projection for versatile situations. The Panasonics Daylight View Basic technology achieves sharp, easy-to-see images by clearly reproducing the details in dark image areas, which were previously difficult to see in brightly lit rooms. A built-in sensor measures the ambient light, and the Daylight View Basic function adjusts the halftone color and brightness level according to the surrounding illumination. This means whether you’re doing a presentation in an opened environment or just in a confined place with little light, the device can be set to adapt to whichever environment and it works like magic without any delay. The brightened color fits right well making the projection appear as though it was being viewed in a dark room. The PT-VW430EA have a maximum lamp replacement cycle of 4,000 hours. This reduces maintenance hassles for long periods of use, and helps to lower maintenance costs and reduce environmental impact. Usage can vary based on the type of display being used and the environment. But the normal range of power consumption of the device is usually great and can function on it’s own for good 4,000 hours. Although I can’t guarantee that as of now based on the fact that we never spent that long period with the device. 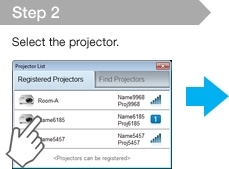 Two types of application software “Panasonic Wireless Projector for iOS” and “Panasonic Wireless Projector for Android” are available for wireless data transmission from an iOS or Android device. 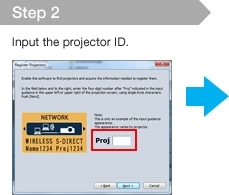 They let you connect to a wireless-ready Panasonic projector to send and project PowerPoint, PDF, JPEG and other files. This means you can easily project data stored on your tablet onto a large screen to share with others, allowing for a new form of highly engaging presentations. They can both be downloaded for free the iOS version from the AppStore, and the Android version from Google Play. *1. When the Standby mode is set to Eco, network functions such as standby on via LAN are not available. Also, only certain commands can be received for external control using the serial terminal. *2.The values given for the recommended lamp replacement cycles are maximum. *3.Measurement, measuring conditions, and method of notation all comply with ISO 21118 international standards. *4.Input signals that exceed this resolution will be converted to 1,280 x 800 pixels. *6.When the ambient temperature is between 35 °C and 40 °C (95 °F and 104 °F), the lamp power should be set to Eco.